It's about time. After a couple of weeks with a busy work schedule and a sudden on-set of laziness at home, I have finally gotten my trade packages ready to mail! There are a few others we are still working on, too, but here's what I have at the moment. Ready, but will be sent with group break loot: Douglas C.
I'm also working on trades with Roy-Z and the Dutch Card Guy. 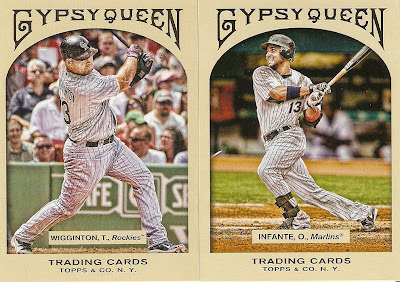 I think this is where I now stand on trades. If you don't see your name here and we should have something working, or you are still expecting a package from me, please let me know. Thanks for your patience, everybody! Hey everyone, I just wanted to let you know that sign-ups will soon be closed on my group break, where I will be opening a box each of 2007-08 Artifacts, 2009-10 Black Diamond, and 2010-11 Between the Pipes. Sign-ups are only $18 and include a team of your choice, as well as one additional randomized team. Follow THIS LINK for the details and registration. 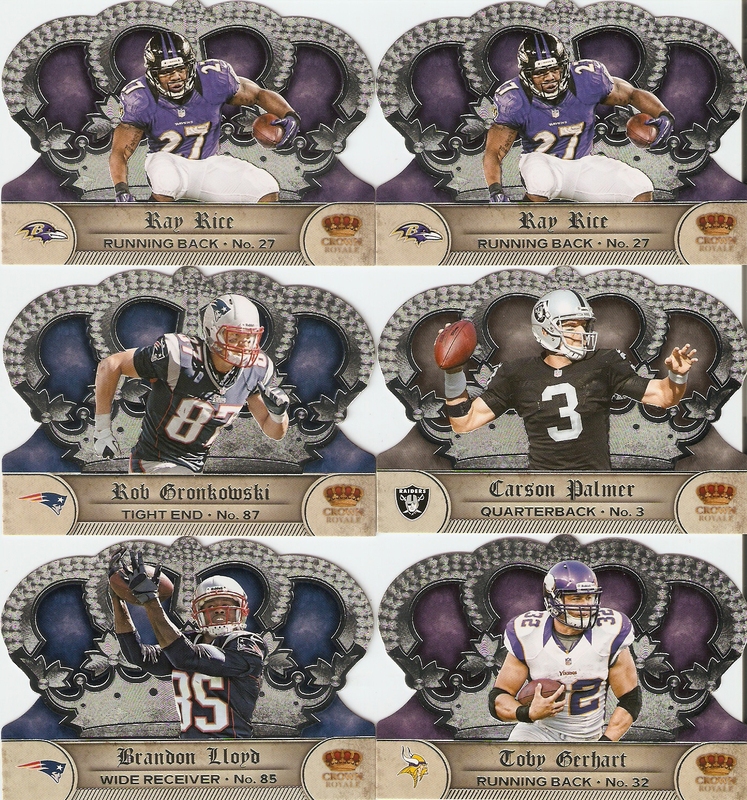 I will most likely place the order for the boxes on Friday and post the randomized secondary teams the following day. Also, I still need payment from Rob PBS for your two teams, so please Paypal it to me as soon as you are able. I still have quite a few cards left to complete my 2012 Allen & Ginter set, so I figured I'd try my luck, pick me up a box, and see what kind o headway I could make. 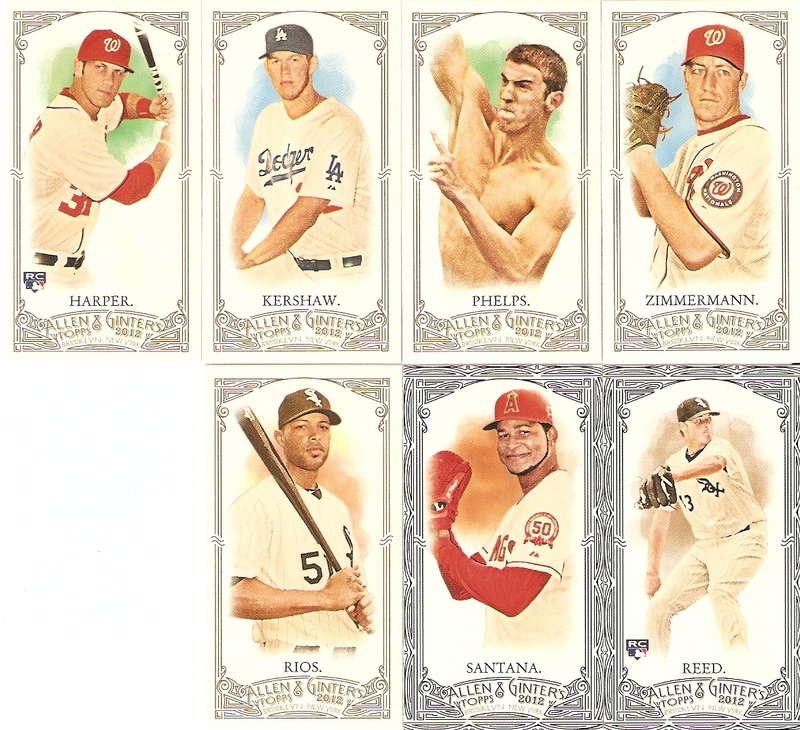 Unfortunately, out of all the cards that came out of the 24 packs, only 19 would be able to fill in the blanks, leaving me with 54 to go. 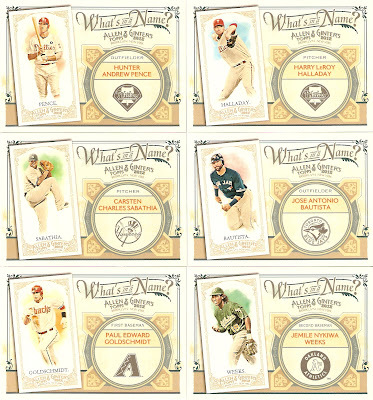 I'm done buying boxes of this stuff, at least until 2013 comes out, but if anyone has any cards to help me out, it would sure be appreciated. 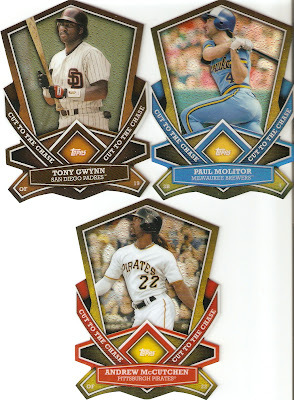 Here's a look at the inserts and hits that my box gave me. What's in a Name? 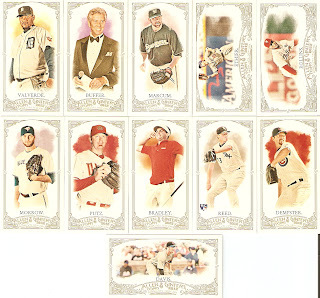 : 12 cards - Jeter, Thome, Snider, Griffey, Cobb, Lincecum, Pence, Halladay, Sabathia, Bautista, Goldschmidt, Weeks. Join In My Group Break! 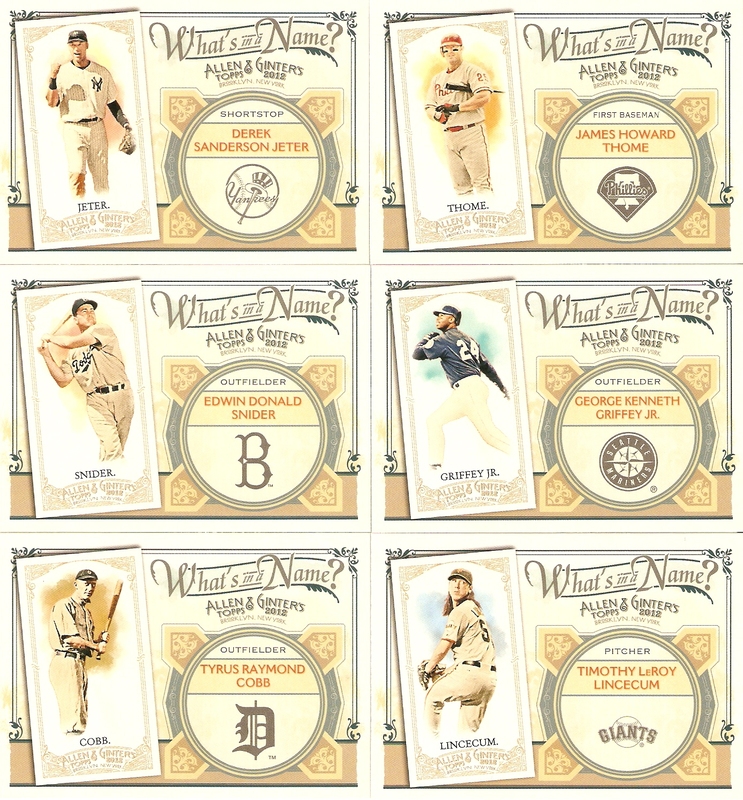 Lots of Teams Still Available! 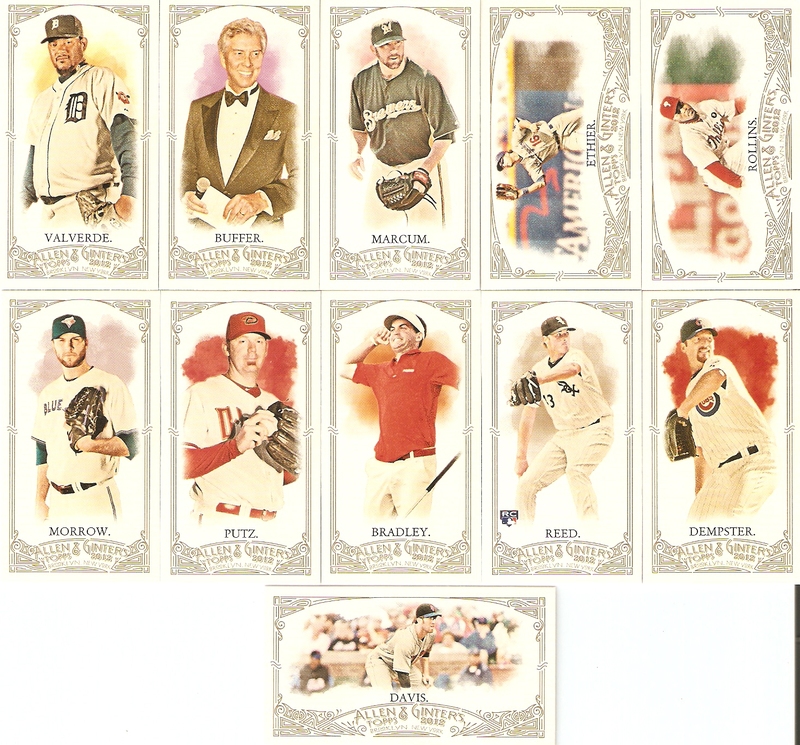 If you love hockey as much as Doug Glatt loves hockey, check out my group break. 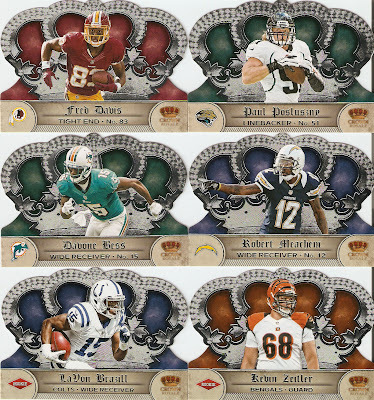 I'll be opening boxes of Artifacts, Black Diamond, and Between the Pipes, plus I'll be giving away a 100-card base set of 2012-13 Black Diamond. 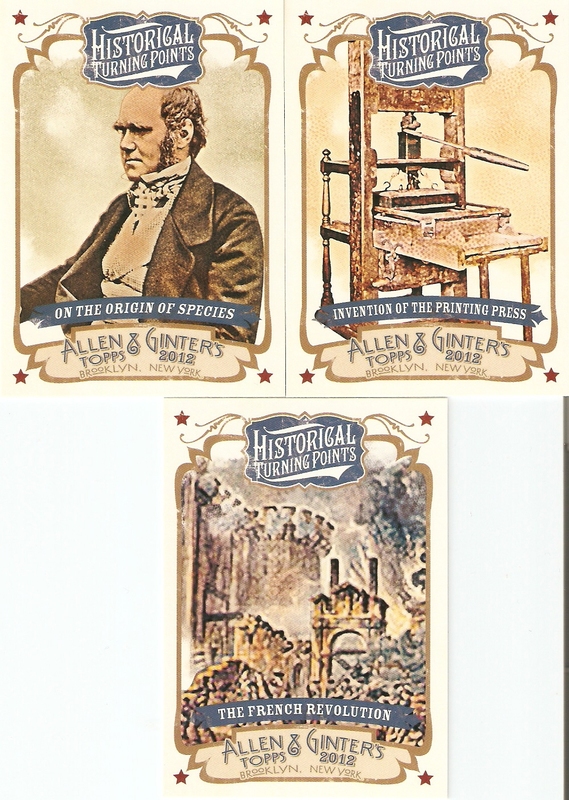 Buy-in is only $18 and there's some great potential with these three products. After busting my jumbo box of 2013 Topps, I had to make a few additional purchases. 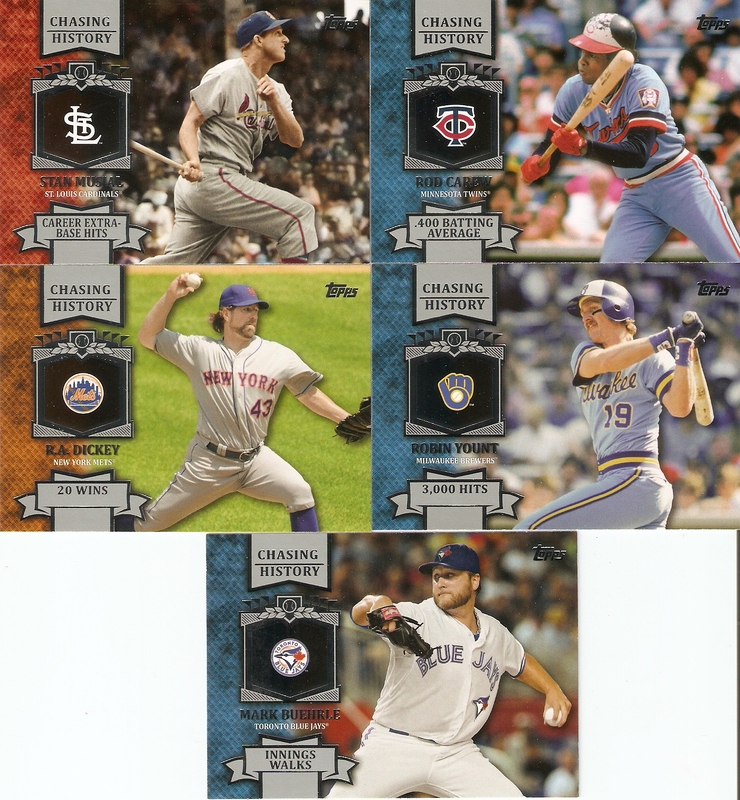 I got some really good cards, but apart from one Anthony Rizzo Chasing the Dream insert, my Cubs content was severely lacking, so I chose to rectify the matter. 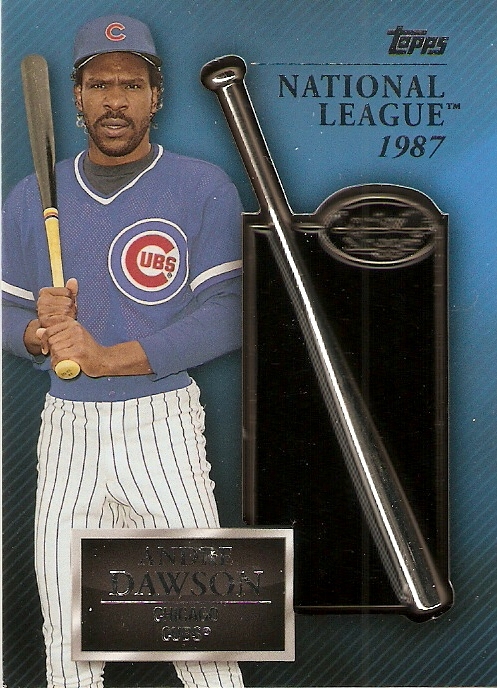 The first card I purchased was one of the super-cool award winner manufactured relics of Andre Dawson. 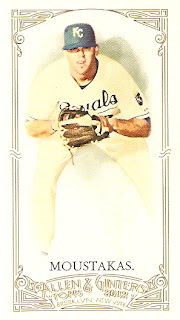 This particular card recognized his Silver Slugger Award from 1987. He actually won three of these during his time with the Expos, but luckily, Topps chose to feature his fourth and final Silver Slugger award, when he played for Chicago. 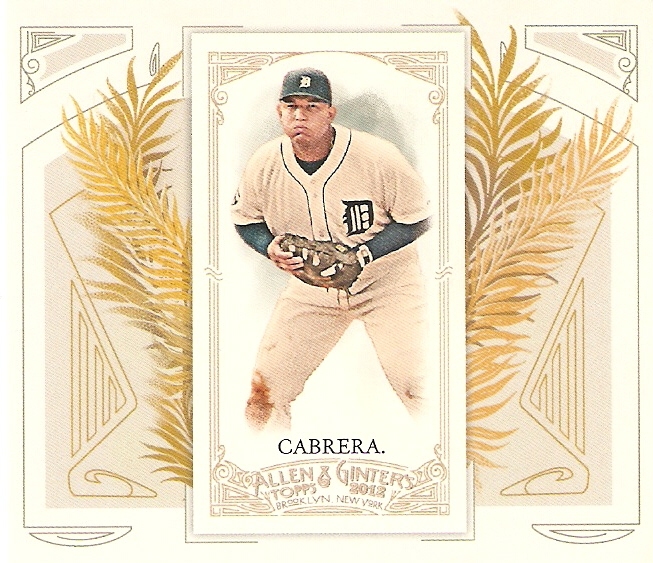 The only other award winner card for the Cubs is of Fergie Jenkins, commemorating his 1971 Cy Young Award. 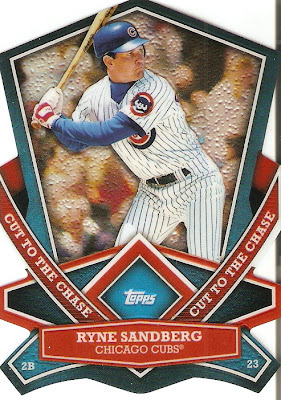 Surprisingly, Ryne Sandberg's presence in 2013 Topps is next to none, at least in Series 1. 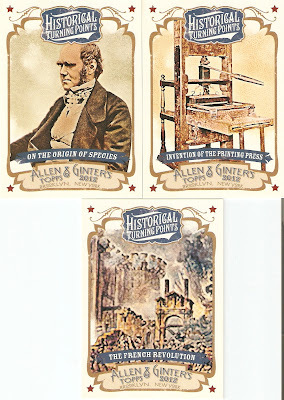 There are only two inserts of his so far, the first being one of these fantastic looking Cut to the Chase die-cut cards. The back of the card mentions his "chase" of becoming only the second baseman with a 40 home run/100 RBI season, which he accomplished in 1990. His only other card is a rookie card commemorative patch found in Series 1 blaster boxes. 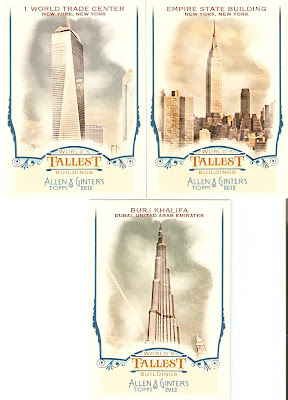 There are still a couple more to go. I need the Sandberg rookie patch, and of course, the Jenkins Cy Young card. There is also a Rizzo manu-patch, not to mention all of the autos and relics of current Cubbies. I still have some work to do, but it looks like it's going to be a fun year. 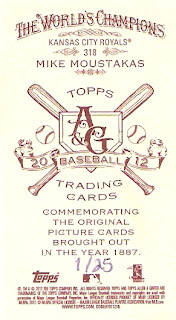 Okay, so I have mostly transitioned myself over the past year from a baseball collector to a hockey collector. Especially with the hockey season now starting, I was really thinking that my baseball collection would be severely neglected for the first time since I returned to collecting a couple of years ago. 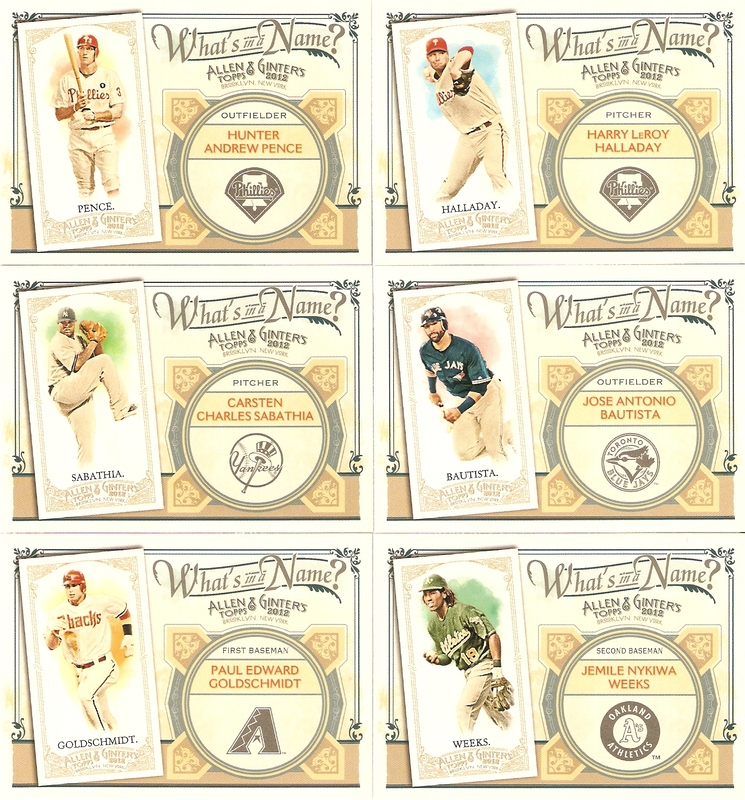 Unfortunately for me, however, the NHL lockout has resulted in companies slashing their number of releases this year, due to the lack of rookie contact, so hockey's loss is baseball's win, as I now have more funds for the National Pasttime. 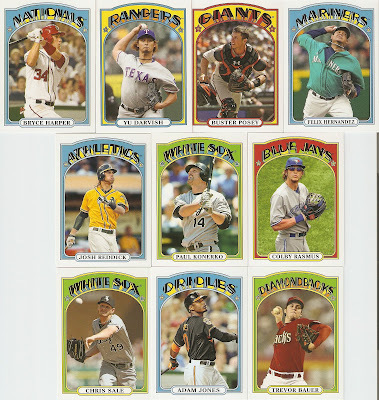 Anyway, with the release of 2013 Topps, the new baseball card season is officially underway, so I did what most Topps collectors do in this case: pick up a box of Jumbo packs. I always go with the jumbo packs for two reasons: one, each box contains the full 330-card base set, and two, you get three hits. 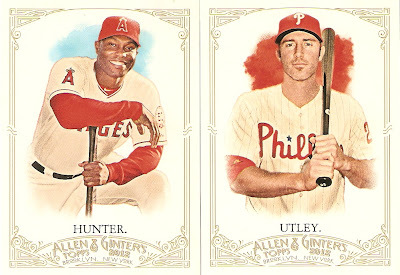 I did get the base set out of mine, and you all know what these cards look like, so let's get to the inserts and the hits. 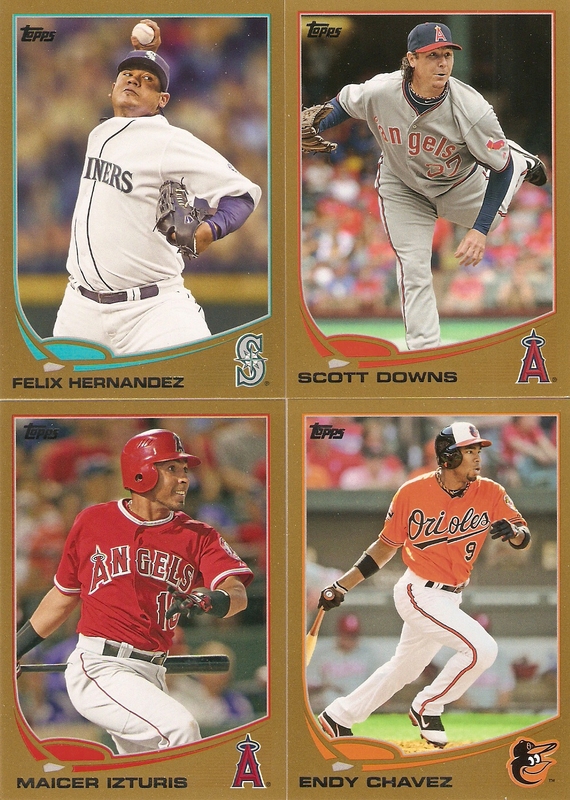 Each year, Topps has SP variations for a few of their base cards. It has ranged anywhere from retired players, to celebrations, to post-game-interview pies-in-faces. This year, they are going with "Out of Bounds," swapping the player's regular photo for one of him making a spectacular fielding play on, near, or in the stands. 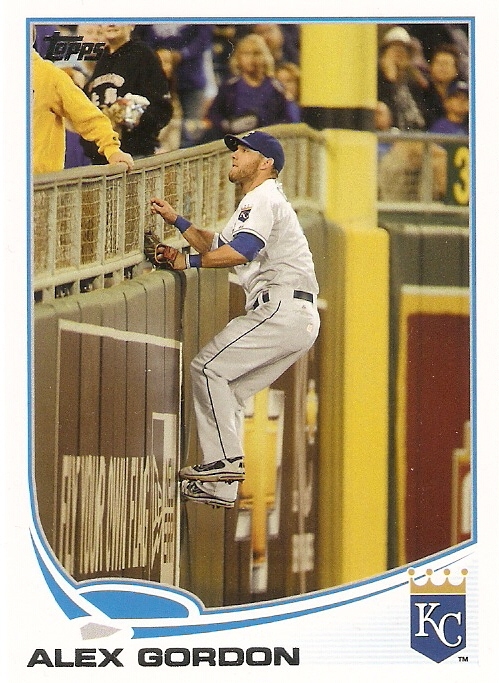 I pulled one, which was of Royal Alex Gordon. And, as the parallel that just won't die, I pulled four Topps Gold card, all serial numbered to 2013. 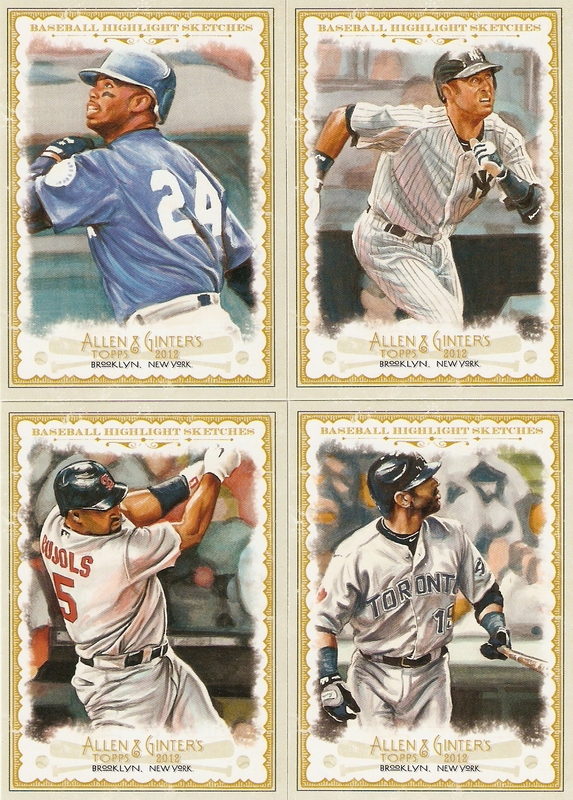 Mine are Felix Hernandez, Scott Downs, Maicer Izturis, and Endy Chavez. 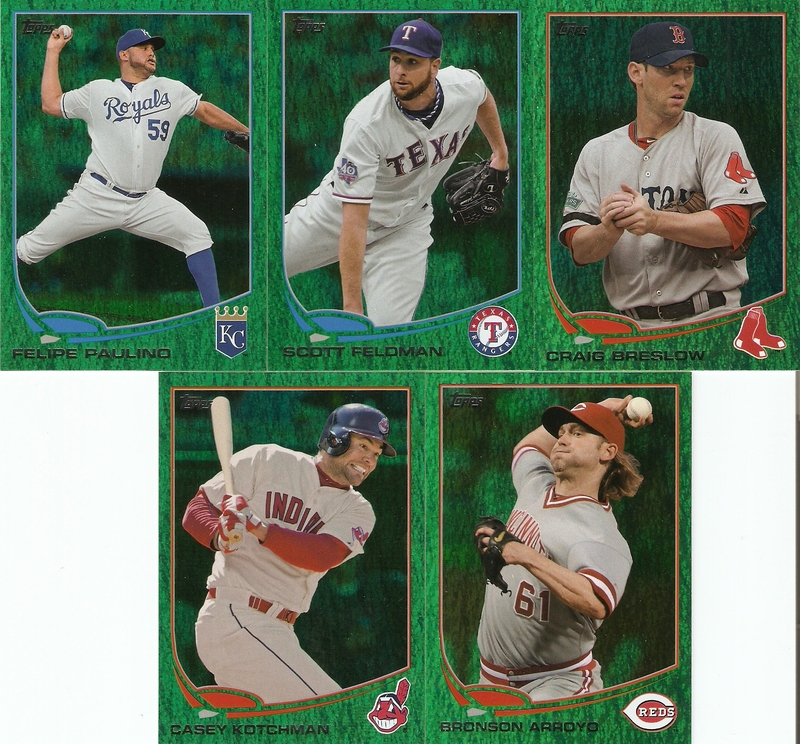 The one-per-jumbo-pack parallel this year is a green foil card, which looks pretty close to the cognac parallels of 2012 (or was it 2011?) Anyway, I pulled Felipe Paulino, Scott Feldman, Craig Breslow, Casey Kotchman, Bronson Arroyo, Jordan Pacheco, Kurt Suzuki, Heath Bell, Doug Fister, and Scott Hairston. 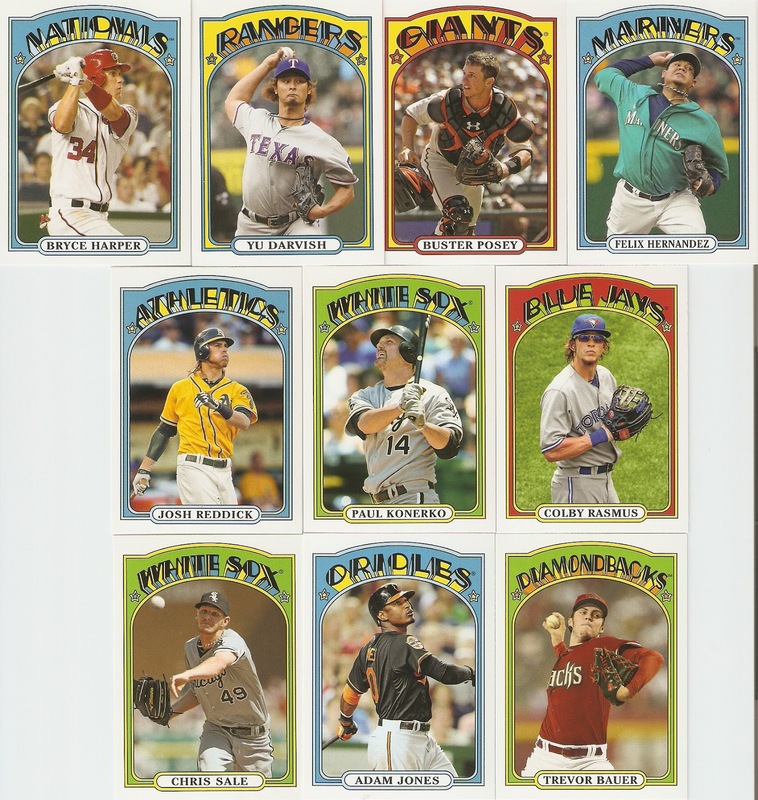 As a follow-up to last year's 1987 minis, this year, they paid tribute to 1972 with their one-per-jumbo-pack mini cards, I did pretty good with my player selection here, getting Bryce Harper, Yu Darvish, Buster Posey, Felix Hernandez, Josh Reddick, Paul Konerko, Colby Rasmus, Chris Sale, Adam Jones, and Trevor Bauer. One of the other one-per-pack inserts is Chasing History, which gave me Harmon Killebrew, Frank Thomas, Yogi Berra, Paul Konerko, Mike Schmidt, Stan Musial, Rod Carew, R.A. Dickey, Robin Yount, and Mark Buehrle. 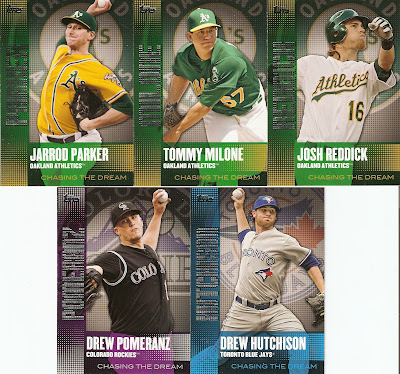 Chasing the Dream is an insert set for the game's newcomers. I pulled Bryce Harper, Mike Trout, Anthony Rizzo, Casey Kelly, Jesus Montero, Jarrod Parker, Tommy Millone, Josh Reddick, Drew Pomeranz, and Drew Hutchinson. Calling Cards is one of the cooler insert sets that Topps did with this release. It features a drawn/painted image of te player and looks kind of like an old WANTED poster from the old west. 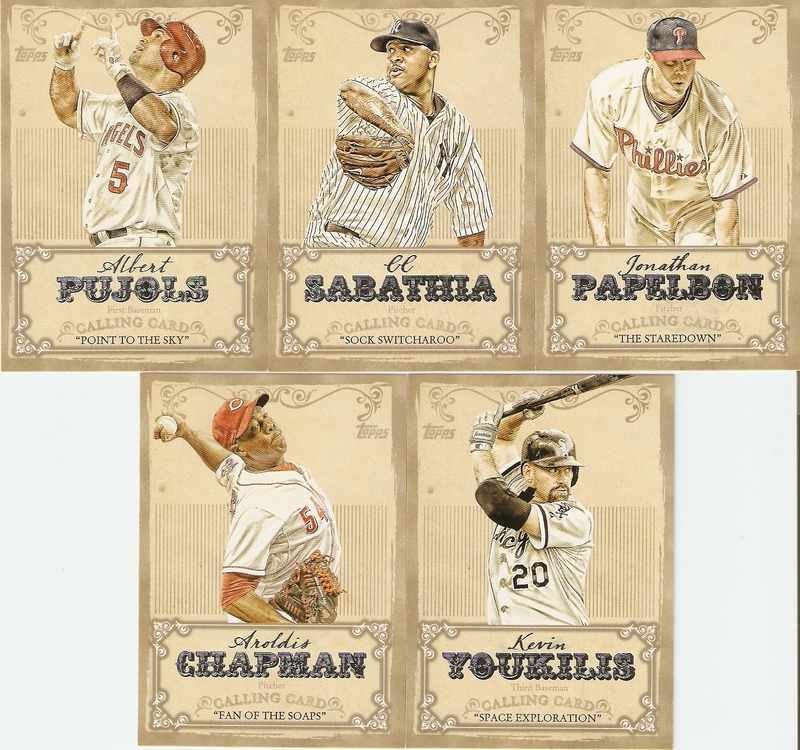 Here we have Albert Pujols, CC Sabathia, Jonathan Papelbon, Aroldis Chapman, and Kevin Youkilis. 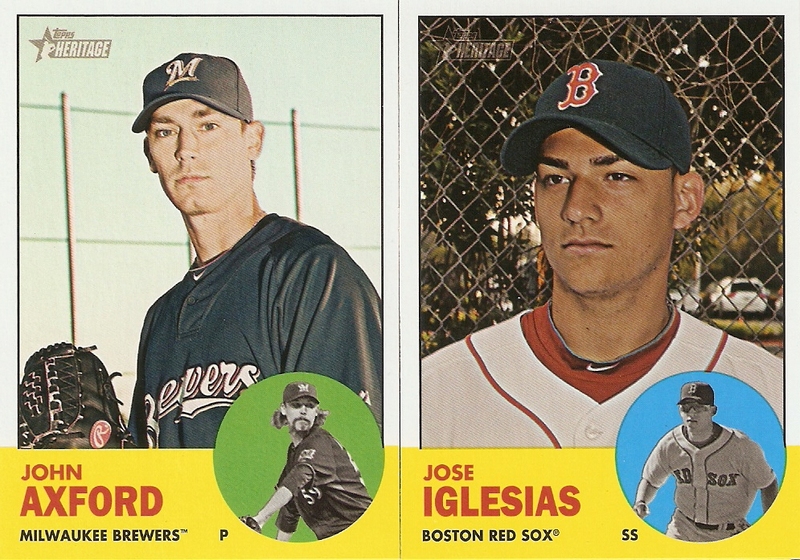 One of the rarer of the inserts is The Greats. 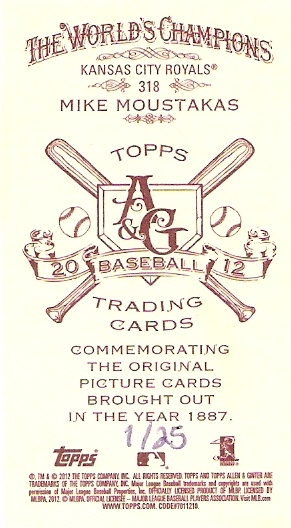 The player's image is painted, and it has a thicker card stock. 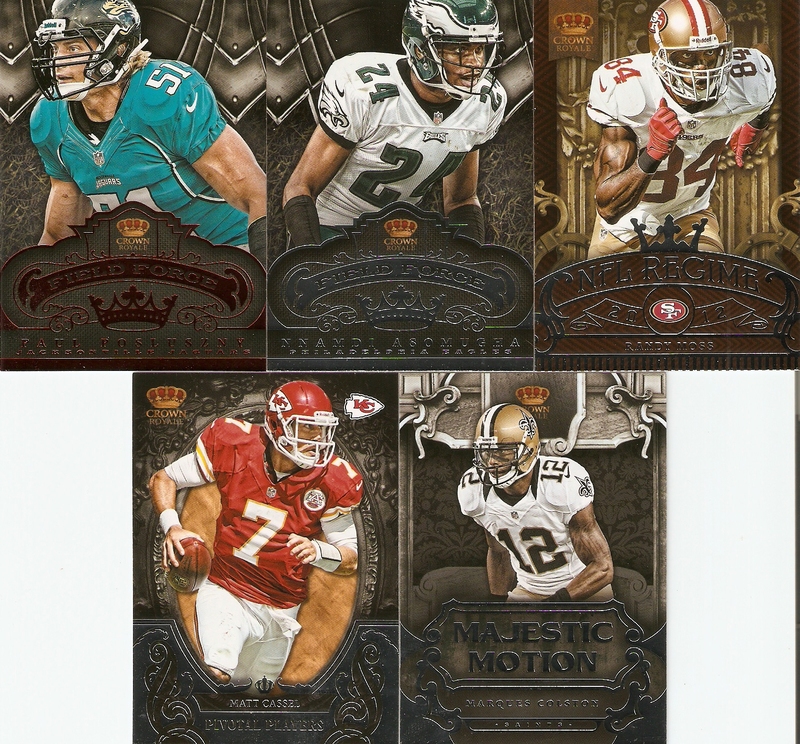 making it very similar to a high end release, like the base cards you might get with something like Triple Threads or Tier One. 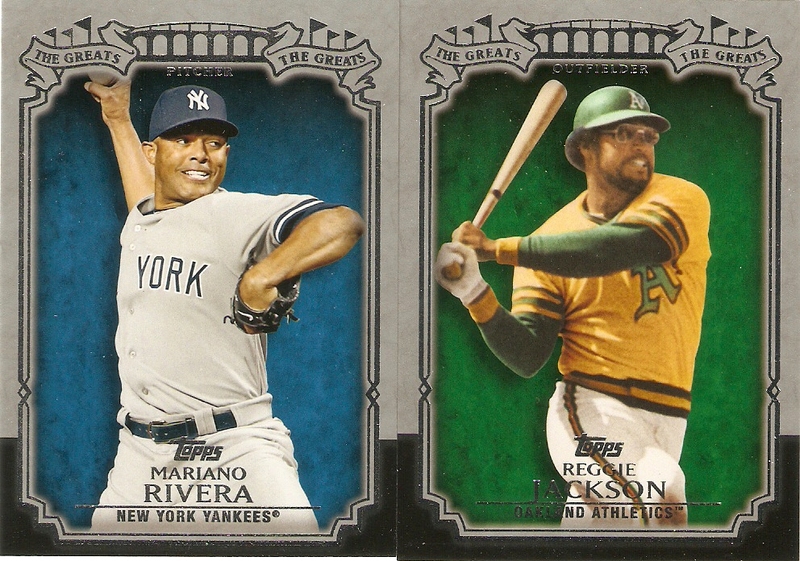 I got two, Mariano Rivera and Reggie Jackson. 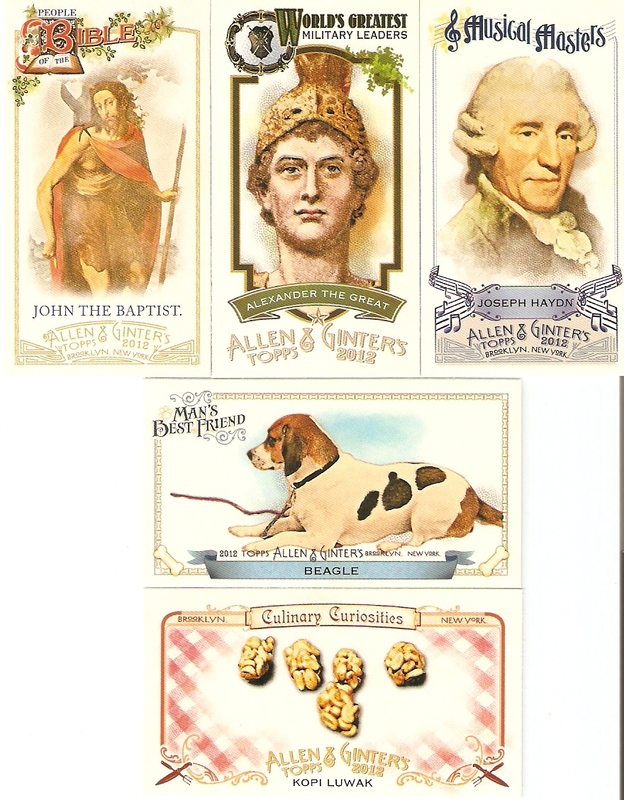 The most well-received of the inserts definitely has been Cut to the Chase. This is an all-die-cut insert set that has a foil finish similar to Topps Finest and just looks amazing. I did ok with mine, pulling Tony Gwynn, Paul Molitor, and Andrew McCutchen. 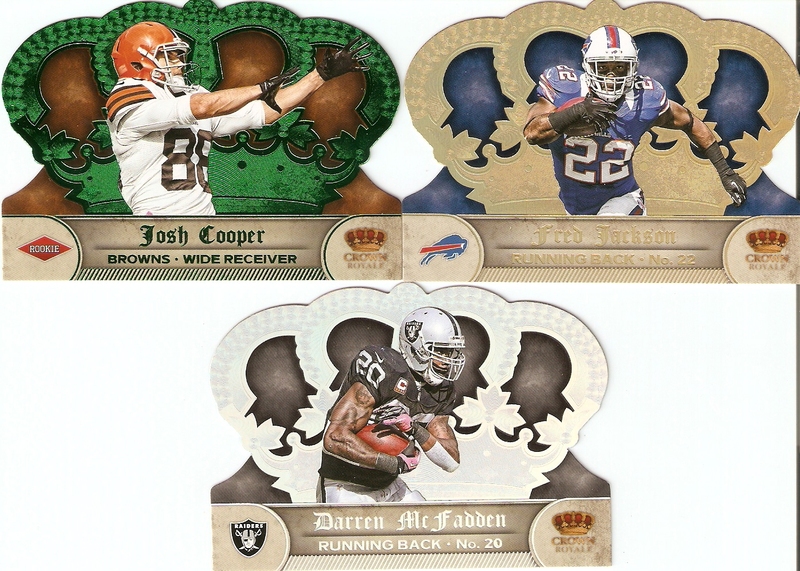 Like previous years, Topps mostly does their hits as parallels of their regular inserts (Peak Performance, Golden Moments, etc. 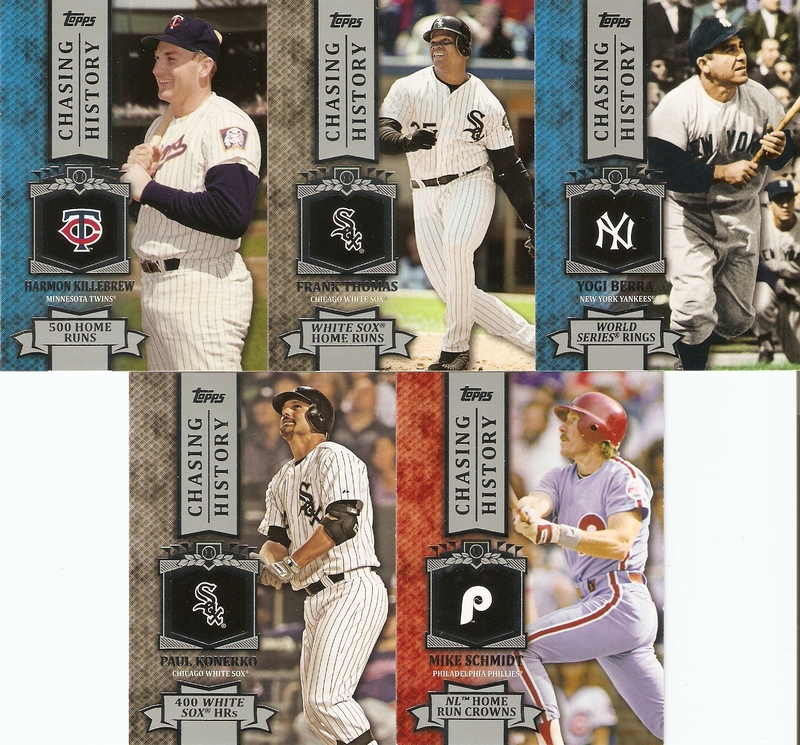 ), but unlike previous years they spread it out to four of their inserts, with Chasing History, Chasing the Dream, Cut to the Chase, and The Greats getting the "hit" treatment. 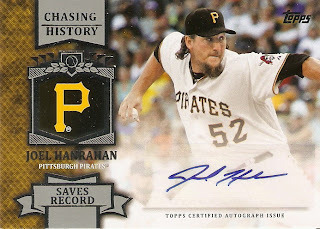 I pulled an autograph of then-Pirates, now-Red-Sox pitcher Joel Hanrahan. The "History" that Hanrahan "Chased" was the Pirates consecutive saves record of 24. 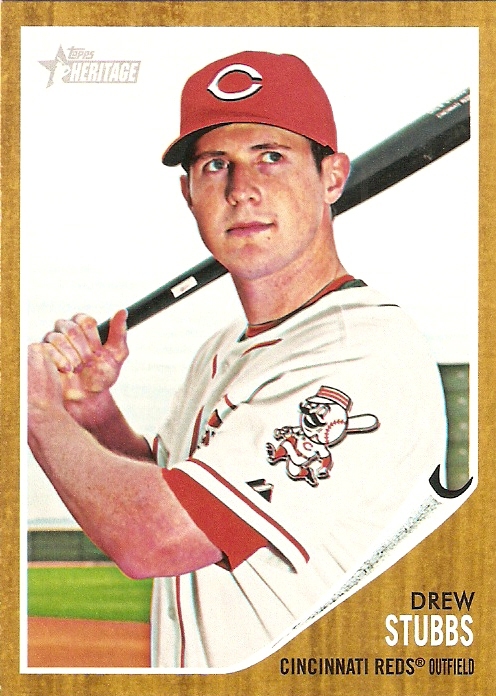 He broke the record on July 4, and added one more to set the new franchise record at 26. Thankfully, Joel's wife is named Kim, not Suzanne. 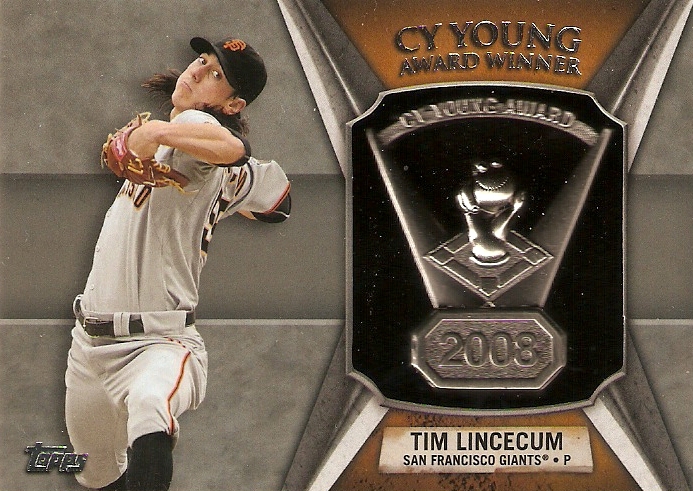 Anyway, this year, Topps did their manufactured relics of award winners, recognizing players who have won the Silver Slugger, Cy Young, and MVP Awards. Mine was Tim Lincecum, and I must say, these are some of the best manu-relics that Topps has ever done. There is a lot of detail in the award replica, and they make it really stand out and look nice by using a black felt backing, instead of just having blank cardboard behind the award. 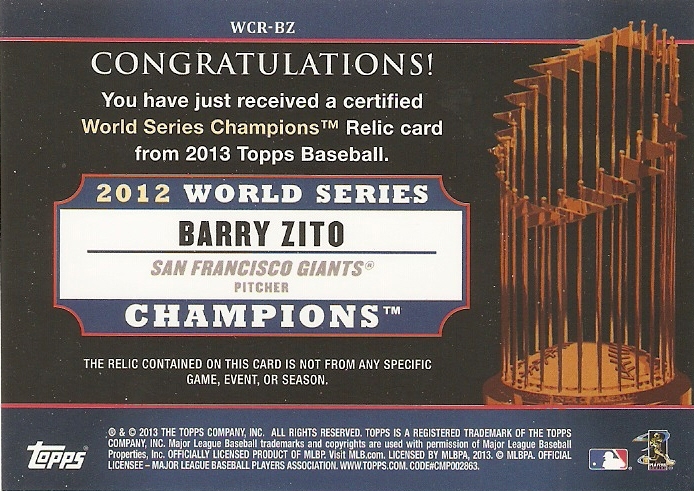 Lastly, there was the big hit of the box that I didn't even know was a big hit, until I did a little bit of research: a World Series Champions Jersey relic of Barry Zito. To me, it just looked like a plain grey jersey card with a serial number, but apparently, people see these as a whole lot more, and they sell on the secondary market for RIDICULOUS amounts. I have already sold this one on Ebay for $80.98. Seriously. For a plain grey swatch. 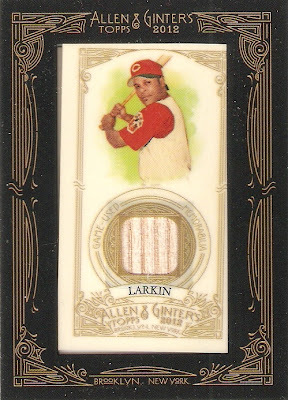 I was curious to see if there was something special that made this card more valuable. 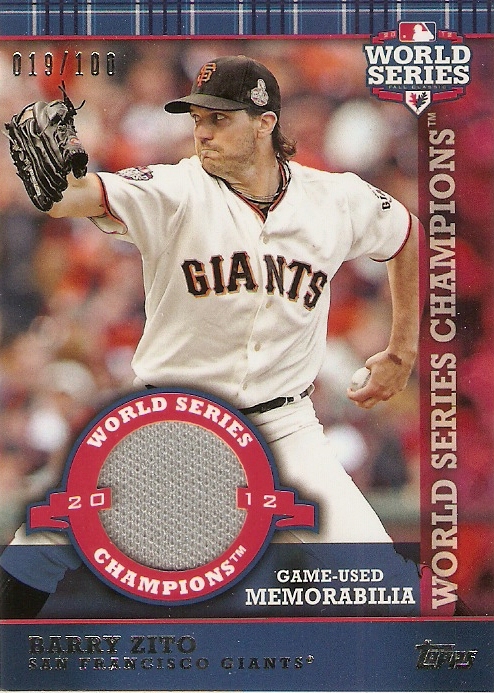 Logic told me that this card was in such high demand because it must be from a jersey worn in the 2012 World Series, so I checked the fine print on the back. 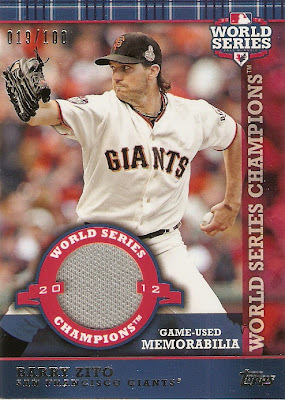 It identified it as a World Series Champions card, but the specifics on the swatch get the typical Topps "...not from and specific game, event, or season" treatment. 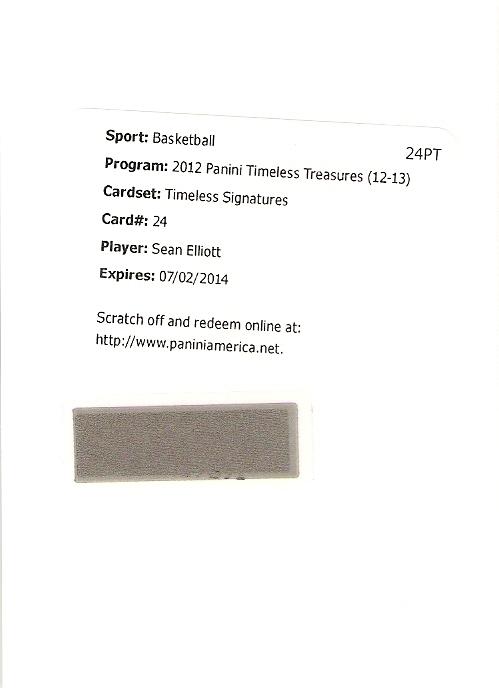 Now don't get me wrong, I'm not complaining about the fact that I sold a plain grey swatch card for $81. Far from it. I'm just curious to know what makes these cards so valuable. Well, here it begins again. I told myself I would cut back on baseball this year, but now, that I got Series 1, I'll have to get Series 2 down the road. Then there's Allen & Ginter, Gypsy Queen, Heritage, and Archives. Damn it. Well, here's to cutting back in 2014. 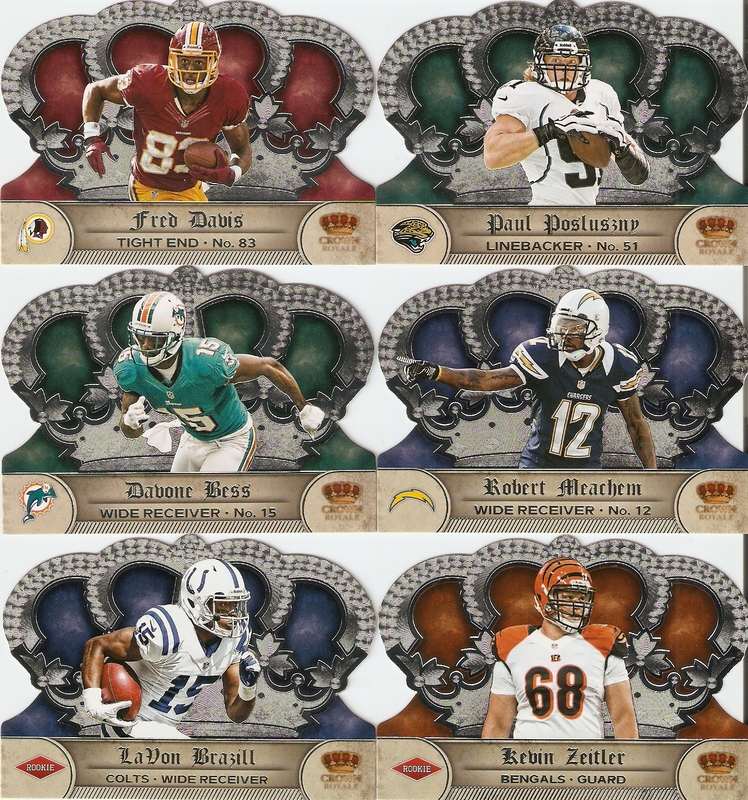 I know this is a VERY delayed post, but here's a look at a box of 2012 Panini Crown Royale Football that I bought a couple of weeks ago. I actually bought it hoping to post it in conjunction with the Super Bowl, but unfortunately, I just never got around to it. 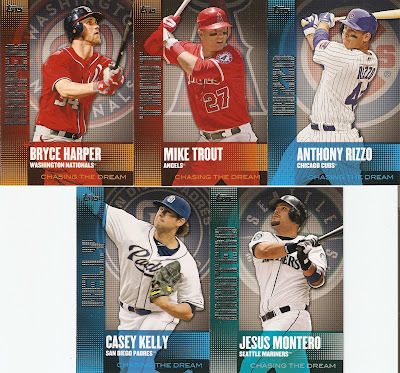 Anyways, Here are the base cards. This was an ok box for me. 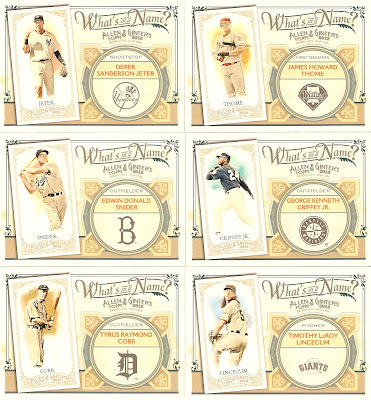 I LOVE the look of the case cards, the inserts are ALL super cool looking, and three out of my four hits are autos. On the other hand the player selection out of my particular box leaves something to be desired. The Silhouettes card is cool, but that much space and I STILL get a one-colored patch??? 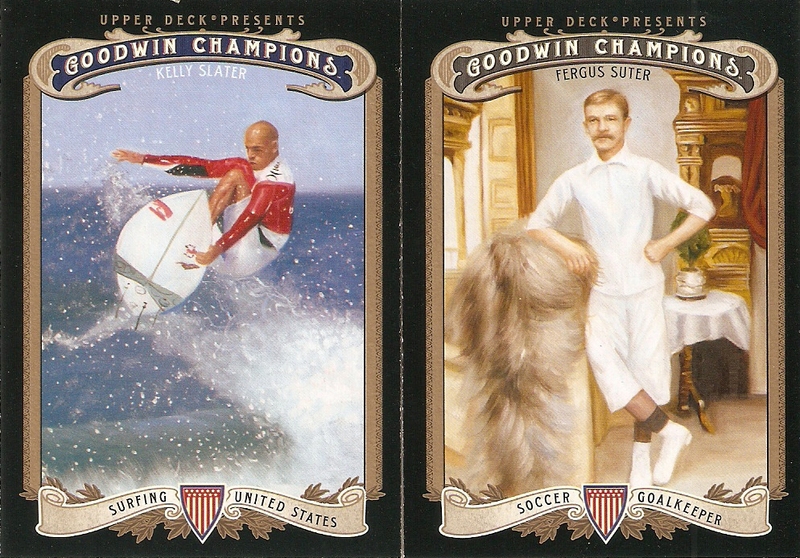 Come on, Panini, you're better than that! 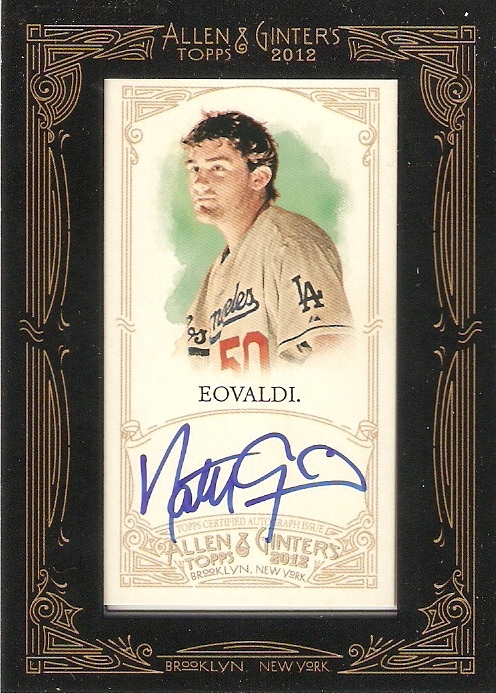 OK, so here's a pretty sick card. A few weeks back, I posted an awesome Dominik Hasek patch card that I pulled from 2012-13 SP Game Used Edition. I like Hasek just fine and to pull that sick of a patch from a future Hockey Hall of Famer is pretty nice, but I figured I could do better. 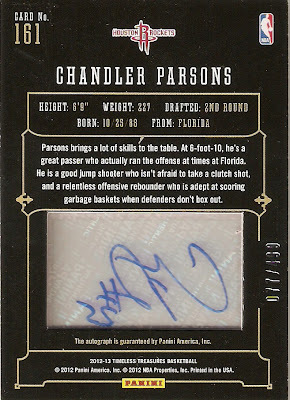 So, I did what I usually do in this case: I listed it on Ebay. 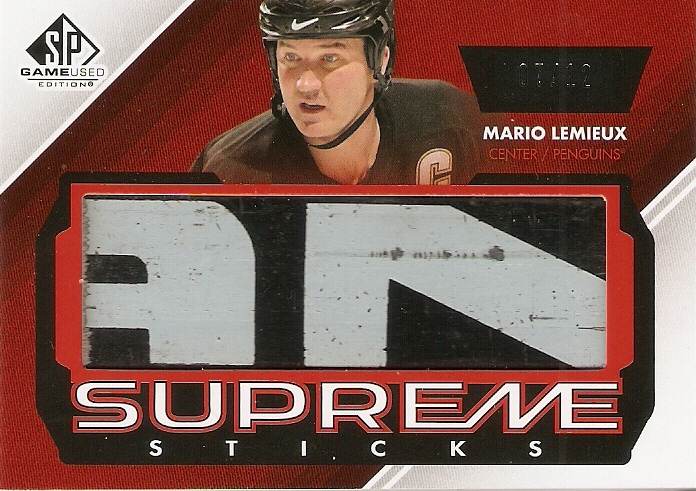 Sure enough it sold for a pretty steep price, and I was able to use that Paypal for something I wanted even more: a Mario Lemieux Supreme Sticks card from 2012-13 SP Game Used Edition, numbered 7/12. I purchased this card for $1.01 more than the Hasek sold for, but when you figure shipping, Ebay fees and all that stuff, I probably had to add in 6 or 7 bucks of my own, but it's close enough for me to consider it an even trade. 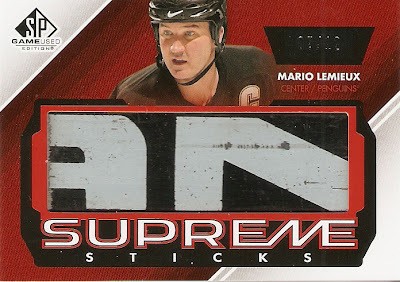 It's got the same numbering as the Hasek, they both have a good amount of wear and tear on the memorabilia, but for me, I would MUCH rather have the Lemieux. I've always said, the best trades are the ones where both parties feel like they came out on top, and I definitely came out on top with this one. 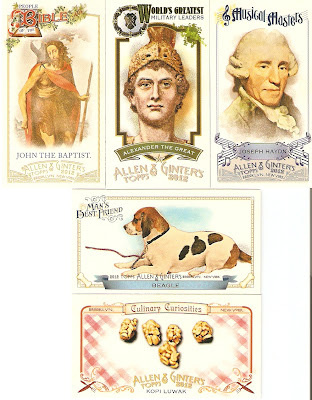 I just completed a trade with Potch Wheeler and the Cardboard Heroes, and was able to make some headway on a few sets I am working on. 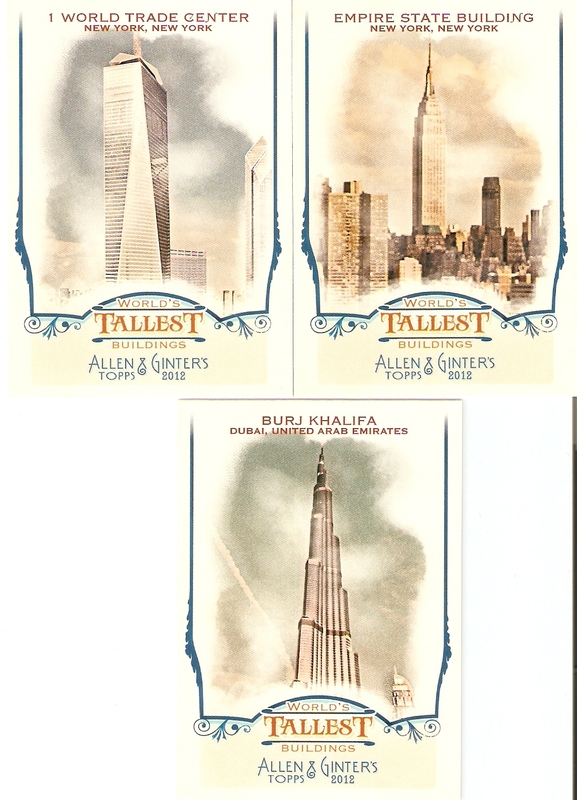 Actually, when I say "completed" a trade, I still have to send out my end of the bargain, but here's what he sent me. After making a few ebay purchases over the last few months, I was left with a decent chunk of change in my Ebay Bucks account. For those unfamiliar with the program, Ebay Bucks, is basically a reward system that gives you a percentage of any item you purchase (2%, I think) in credit to be used for any Ebay purchase. 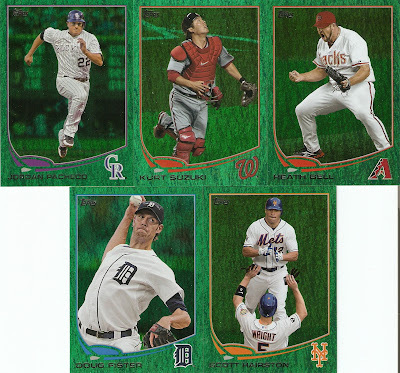 So basically, I got the following cards for free by using my Ebay Bucks. I'm not the biggest basketball fan in the world, but I do like to keep up with my Rockets collection from time to time, especially if I can find something cool and different. 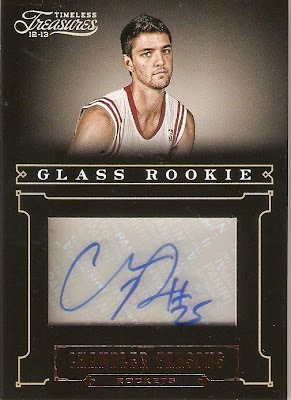 This Glass Rookie card of Chandler Parsons definitely fits the bill, with a cutout for the signature on a "glass" (aka plastic) surface. The cool thing here, though, is that they also cut the back of the card out, too, giving the "glass" a see-through effect. 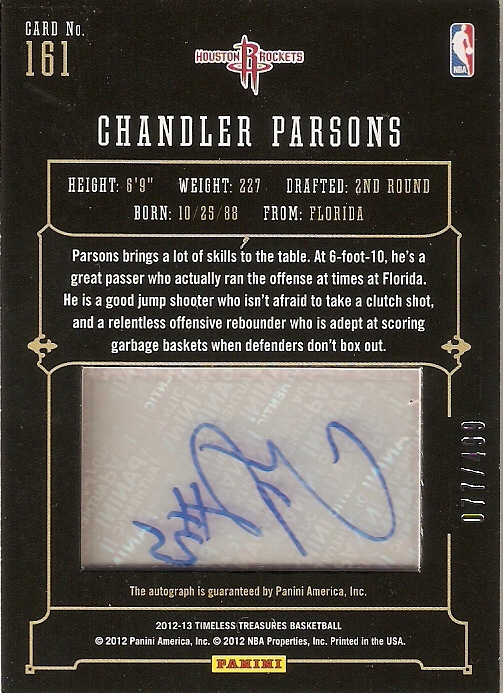 This is definitely a cool card of the rookie, and something I have never seen before. This card came from the same seller as the Parsons, and is a redemption for a Sean Elliot autographed card. I got it for a pretty good price, and I don't really mind putting in a bit of a wait for it. Worst case scenario, I end up waiting too long and get it replaced with a hockey card of somebody from the Pittsburgh Penguins, so it's a win/win. I got this card simply because I love the canvas inserts. 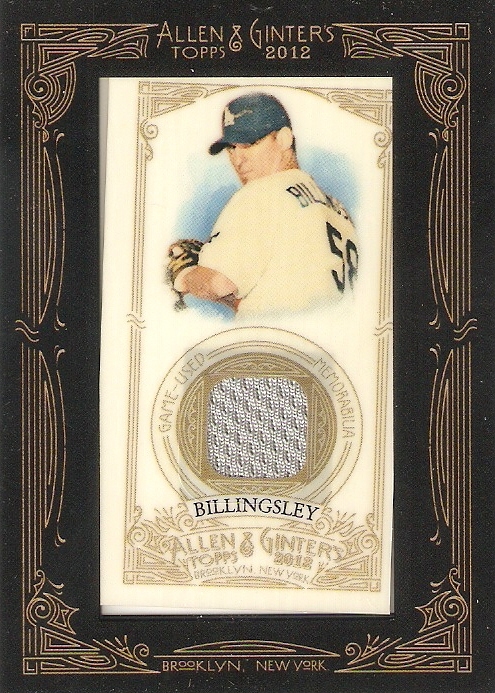 The texture of the card is pretty cool, and they always get a different (and usually, better) photograph for the card. 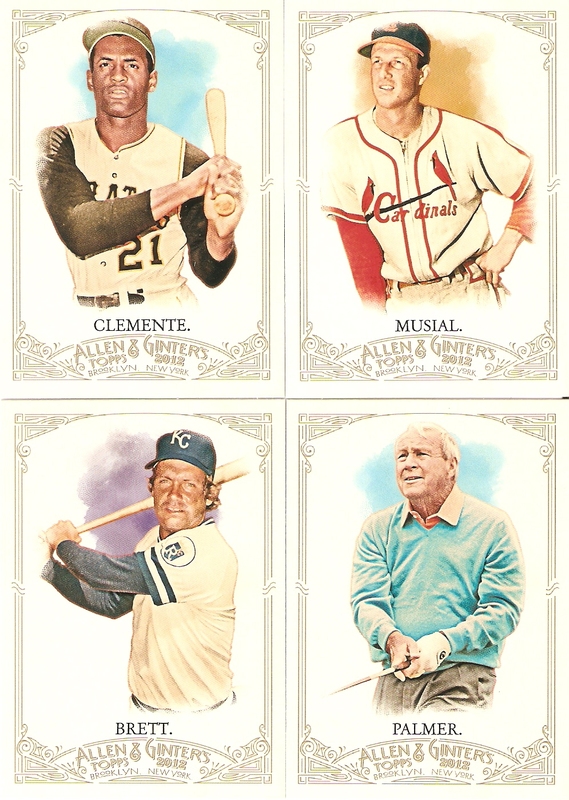 I've pretty much bought all the Upper Deck packs I'm going to buy until next year's release, so the only way for me to get it was to buy it on the secondary market. The cool thing with this seller, though, was that he also included Crosby's base card and MVP insert from this year. 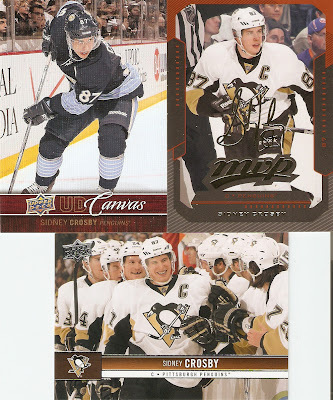 I didn't have the MVP card until now, so I got two Crosby cards to add to my collection for the price of one. Awesome! 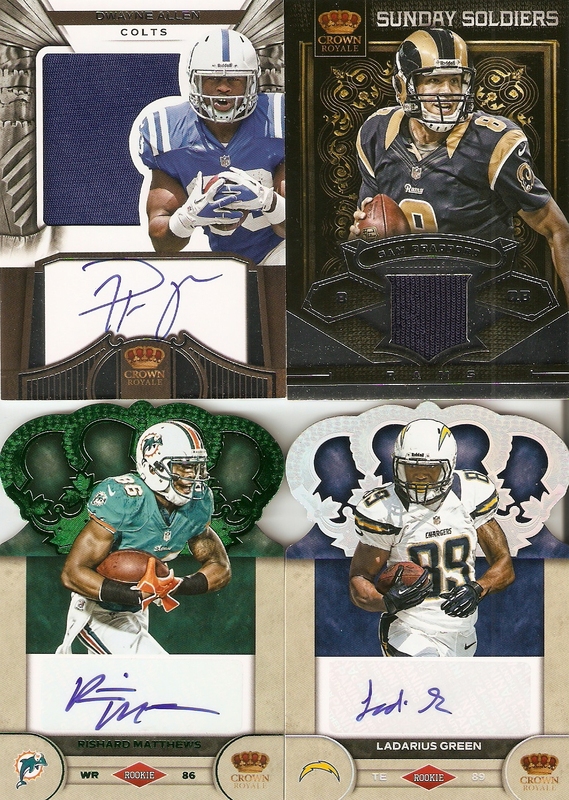 Those Ebay bucks sure came in handy to get some great additions to my various collection. Now, it's time to accumulate some more! Also, if anyone is interested in a hockey group break, I still have plenty of openings for mine, so please go check it out!